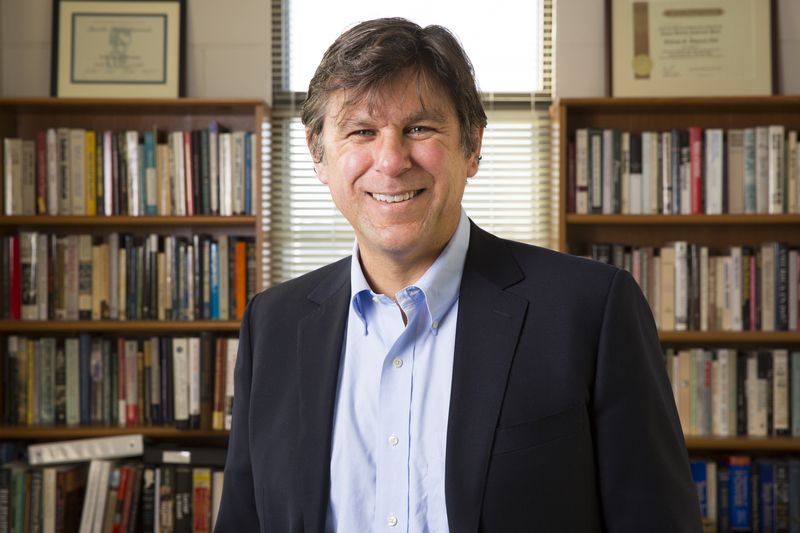 William Thomas III, UNL professor of history, was named a Guggenheim Fellow on April 6. William G. Thomas III, John and Catherine Angle Professor in the Humanities at the University of Nebraska-Lincoln, has earned a John Simon Guggenheim Memorial Foundation Fellowship. The awards – given to 178 people from the United States and Canada out of an applicant pool of nearly 3,000 – were announced April 6, following ratification by the foundation’s board of trustees. Fellows are chosen on the basis of prior achievement and exceptional promise. Thomas, who joined the UNL faculty in 2005, is a noted historian who specializes in the Civil War, the U.S. South and slavery. He has been a pioneer in digital history with such projects as the History Harvest, the Virginia Center for Digital History at the University of Virginia, and as a co-editor of the award-winning digital project Valley of the Shadow: Two Communities in the American Civil War. Thomas’ work as a Guggenheim Fellow will dovetail with his current digital humanities research on early Washington D.C. family and law. Thomas will be working on a book called “A Question of Freedom: The Ordeal of an American Family in the Age of Revolution,” which will chronicle the history of a mixed-race family over four generations in Maryland and their 100-year struggle to become free from slavery. "This project puts an enslaved family and its interaction with other families at the center of a history of the early United States,” Thomas said. "I want to show the evolution of enslavement and why slavery developed the way it did, and how it was resisted." He is also planning a series of experimental digital essays titled “One Hundred Years an Enslaved Family.” The essays will delve into the historical record to explore how we know what we know about family histories and why we need moral imagination to confront what we find in the past. Thomas has won numerous other awards, including a Digital Innovation Fellowship from the American Council of Learned Societies in 2008, and many grants from the National Endowment for the Humanities. One of his previous books, “The Iron Way: Railroads, the Civil War, and the Making of Modern America (Yale University Press, 2011),” was a shortlist finalist in 2012 for the Lincoln Prize. He also serves on the advisory board of the National Archives and Records Administration, and a fellow of UNL's Center for Digital Research in the Humanities. Joseph S. Francisco, dean of the College of Arts and Sciences and a 1993 Guggenheim Fellow, said he was pleased Thomas was named a member of the select group. The Guggenheim Fellowship program is distinguished by the wide range in interest, age, geography and institutions of those it selects. Since its establishment in 1925, the foundation has granted more than $334 million in fellowships to more than 18,000 people, among who are scores of Nobel laureates, poets laureate, winners of Pulitzer Prizes, Fields Medals and of other important, internationally recognized honors. Past UNL professors who have earned Guggenheim Fellowships include Xiao Cheng Zeng, Willa Cather Professor of Chemistry, in 2004; Kwame Dawes, Chancellor’s Professor of English and Glenna Luschei Editor of Prairie Schooner, in 2012; and John Hibbing, Foundation Regents Professor of Political Science in 2013.